"The Football Greats Alliance provides opportunities for retired players to band together for a wide variety of partnerships. These deals will have direct financial benefits to the players involved, and more importantly, will provide revenue for the Greater Good Fund, which will benefit the health and welfare of retired players." 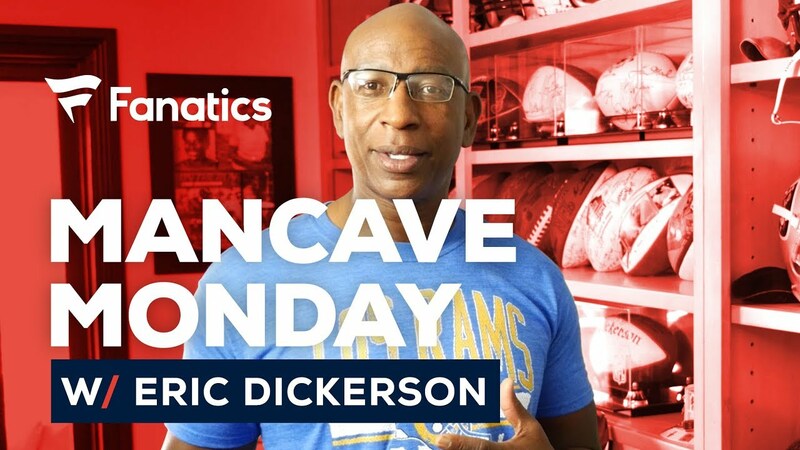 As part of our marketing and player services arm, the FGA partnered with Fanatics to develop a content series called “Mancave Monday,” to showcase athletes’ mancaves, memorabilia and keepsake items that they’ve kept near and dear to their hearts and compiled over the years. Fanatics utilized the content to highlight the jerseys and memorabilia items that can be found on Fanatics.com. The Series, which launched the week of Super Bowl 53, featured iconic running backs Eric Dickerson and Eddie George. Look for the content this off-season! The FGA is proud to have successfully launched our official auction platform with our partner, HUNT AUCTIONS, at SB53. 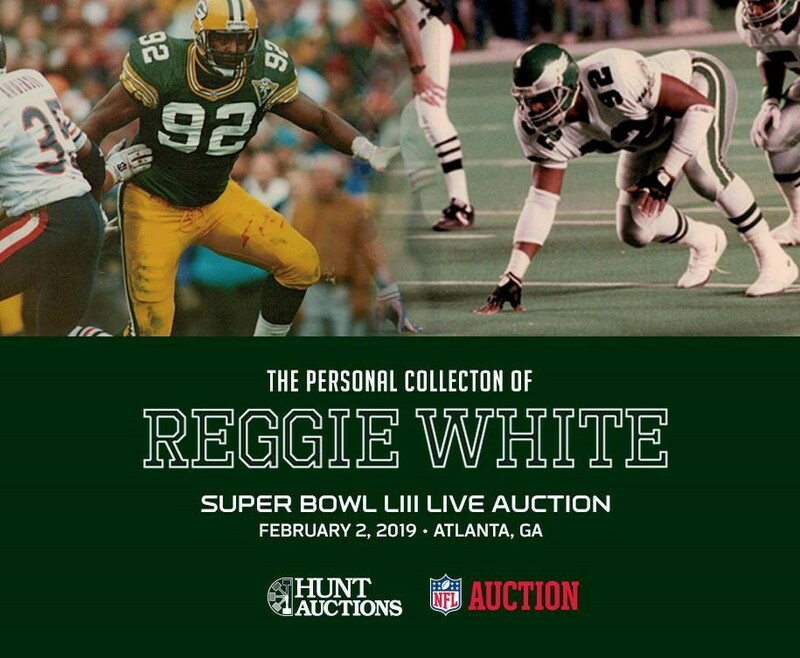 The Reggie White Collection, is the most complete and significant football collection to hit the market in the last decade. 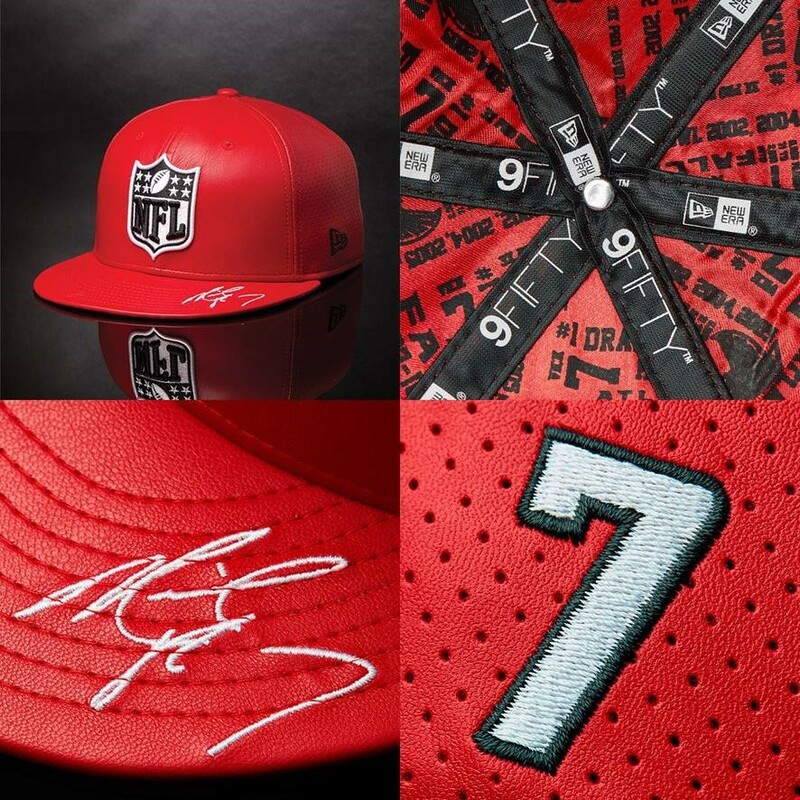 Look for the FGA to leverage the success from this auction, as we turn our attention to procuring and auctioning unique and iconic memorabilia from our former NFL greats ahead of the NFL’s 100th Anniversary next season. The FGA and Hunt are developing numerous live, online and silent auction platforms for the 2019 season to drive forward value, while commemorating the greats who built the game. For the third consecutive year, the Football Greats Alliance developed and procured an exclusive Super Bowl drop, which featured Michael Vick. The former legendary Falcon designed a cap to commemorate his career with the Atlanta Falcons, and to celebrate the host city. The cap was made with premium leather, along with Vick’s signature and Falcons accolades on the satin lining interior. The cap retailed for $100 and was available exclusively at NFL Shop and neweracap.com. He supported the drop on social media and made an on-site appearance at the New Era retail space, at the Super Bowl Experience, for fan signings and photos. 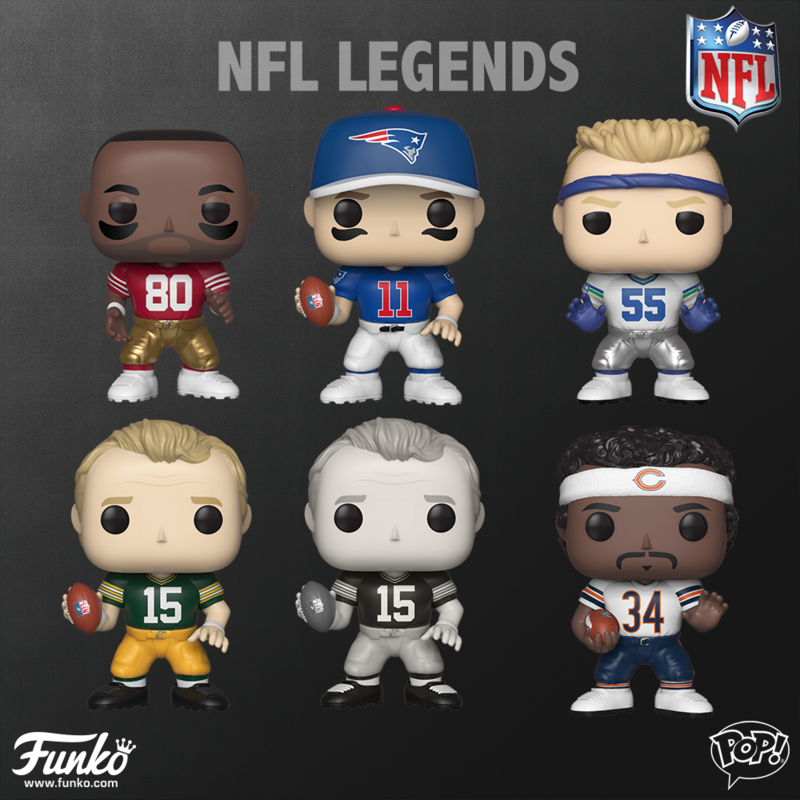 Through best-in-class partnerships with Funko & Highland Mint, the FGA has brought stylized bobbleheads, commemorative coins, collectibles and more to life ahead of the 2018 Kick-Off. The program features iconic players such as Jerry Rice, Troy Aikman, Terry Bradshaw, Brett Favre, Jerome Bettis, Coach Tom Landry, Dan Marino, Roger Staubach, Lawrence Taylor and many more. 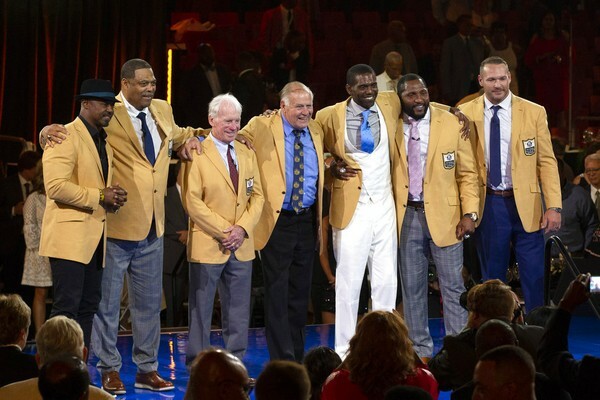 The Football Greats Alliance is honored to welcome six members into the Pro Football Hall of Fame. Their enshrinement highlights the legendary careers of marquee players Ray Lewis, Randy Moss, Terrell Owens, Brian Dawkins, Brian Urlacher and Jerry Kramer! 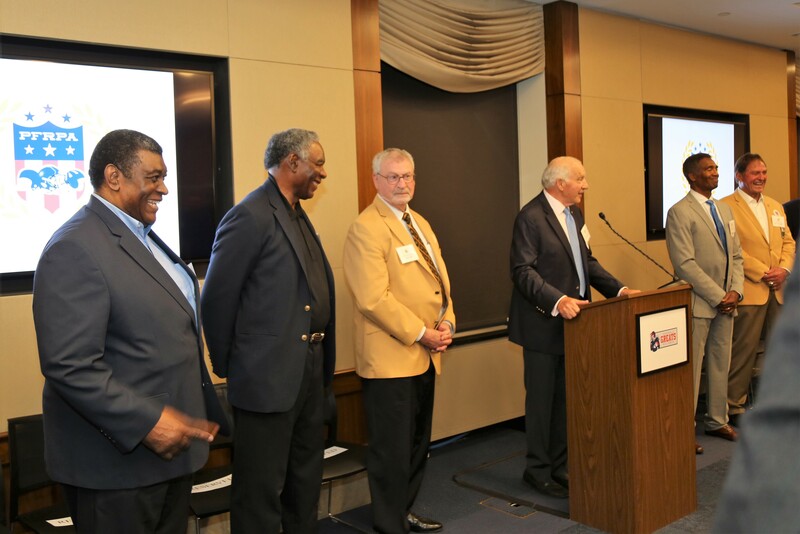 PFRPA recently held a reception to honor wounded warriors at the Rayburn House on Capitol Hill in Washington, DC. Several of these veterans suffered some form of traumatic brain injury (TBI), which is a similar issue many retired NFL players face. PFRPA set out to shed light on this serious issue and highlight innovative ways to heal these injuries. We invited congressional members from both the House and Senate. They had a chance to speak with medical professionals on key topics, including TBI and other important matters concerning wounded warriors and retired NFL players. 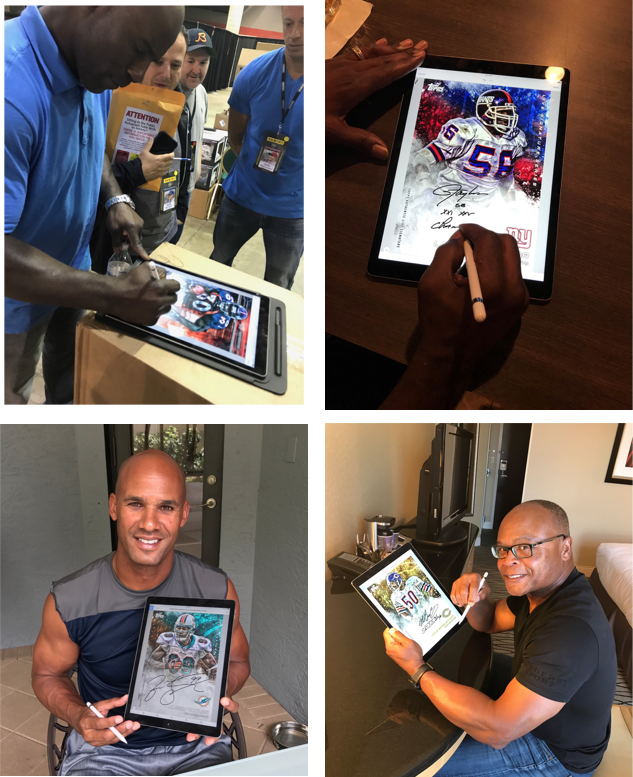 FGA and Topps have developed a live signature platform, called Topps NFL Huddle, where athletes use a tablet and stylus to digitally sign their autograph on digital trading cards. Some of the players secured included Pro Football HOFers Steve Young, Kurt Warner, Marshall Faulk, Terrell Davis, Eric Dickerson, Warren Moon, Mike Singletary, Roger Staubach, Jason Taylor, Lawrence Taylor and more. 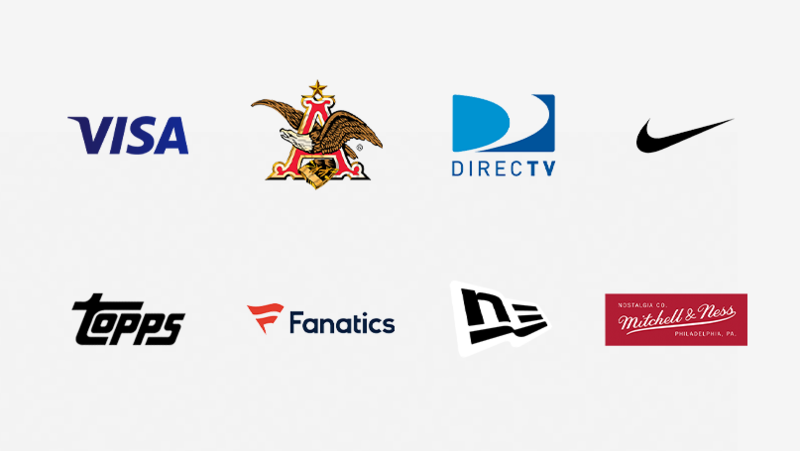 IMG today unveils The Football Greats Alliance, which offers brands and advertisers a one-stop shop for marketing rights, approvals, contracting and financing for a group that includes more than 160 Hall of Famers, 50 Heisman winners, 225 broadcasters and 35 NFL MVPs. Two years ago, IMG won the rights to create an agency dedicated to handling the marketing and licensing rights for some 22,000 retired players. The agency is the result of a lawsuit brought by former players against NFL Films for using their images without permission. The group was awarded $50 million, and the Pro Football Retired Players Association was created. These days, there is a ton of value to be had in being a former NFL player, especially with the league’s 100th anniversary coming during the 2019 season.